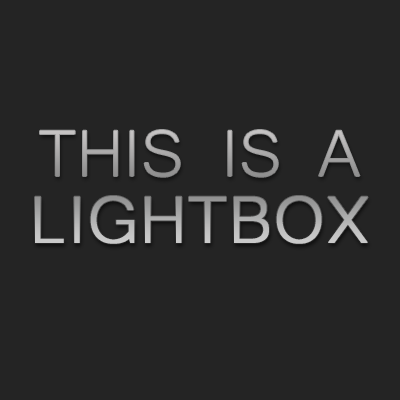 Simple Lightbox is a free plugin for WordPress that makes it incredibly simple to add a customizable lightbox to your website. Update: Simple Lightbox 2.4.1 Released! Turbocharge with Add-ons: Add exactly the features and functionality you want with add-ons. Simple Lightbox is lean and mean out of the box. Add-ons allow you add exactly the features and functionality you want to your site’s lightbox. Play videos in Simple Lightbox! End the tyranny of embedded video players that slow down your site’s loading with Simple Lightbox’s Video Add-On! Insert links to images into your post (WordPress Documentation). That’s it! The image will be displayed in a lightbox viewer automatically. Simple Lightbox for Noobs: The Beginner’s Guide to Using SLB. Have an awesome feature you’d love to see in Simple Lightbox, found a bug, or otherwise experiencing an issue with Simple Lightbox? Report the issue here.